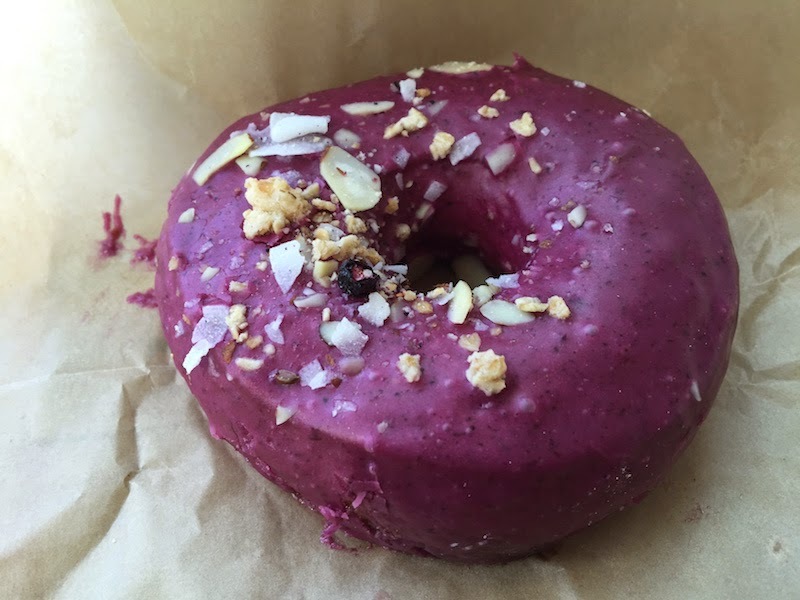 Are Blue Star donuts the Best Thing I Ever Ate? Read my full review after the break. 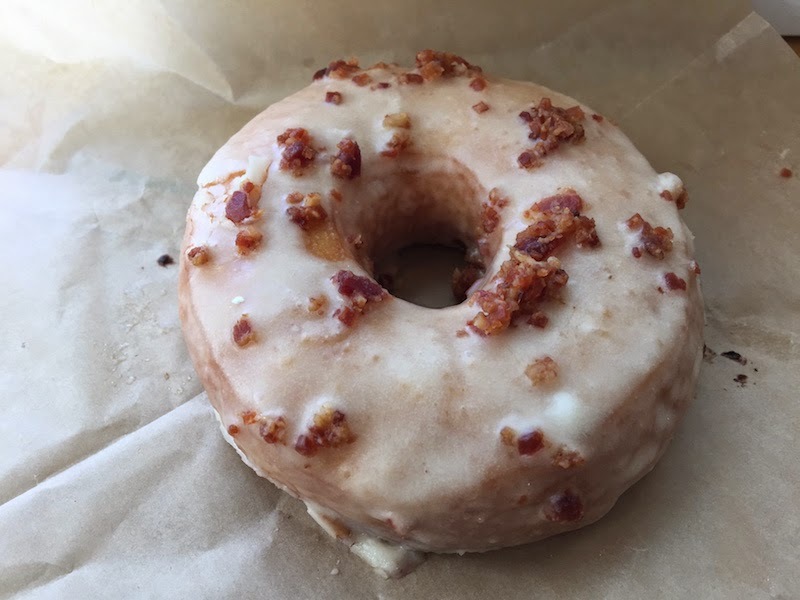 After our lunch at The Frying Scotsman, we walked through downtown Portland to Blue Star Donuts. 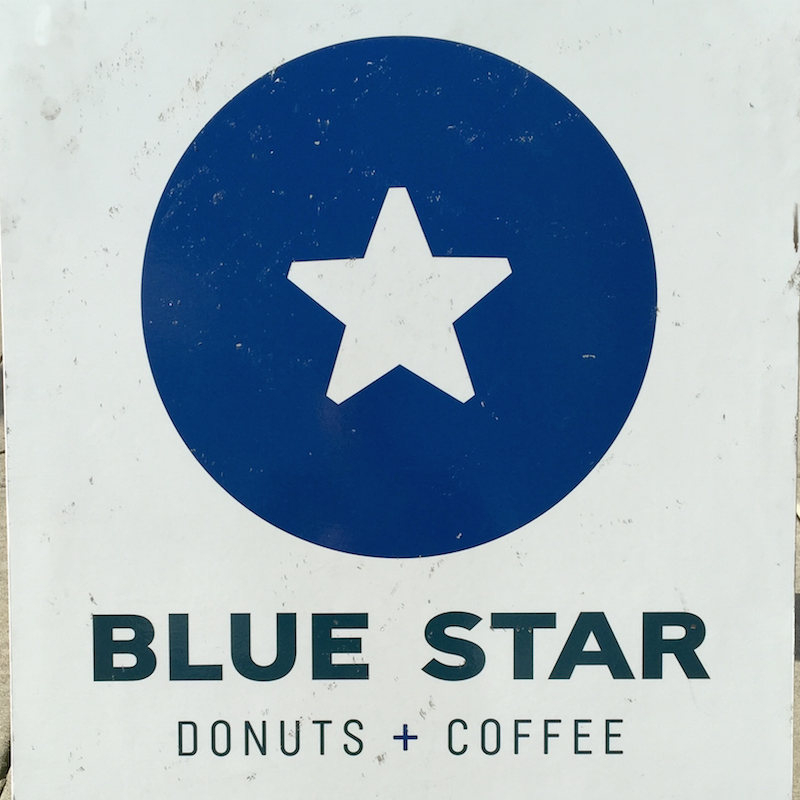 I had been recommended these donuts by a couple of people in line at Voodoo Donuts who said that no trip to PDX was complete without trying Blue Star as well. 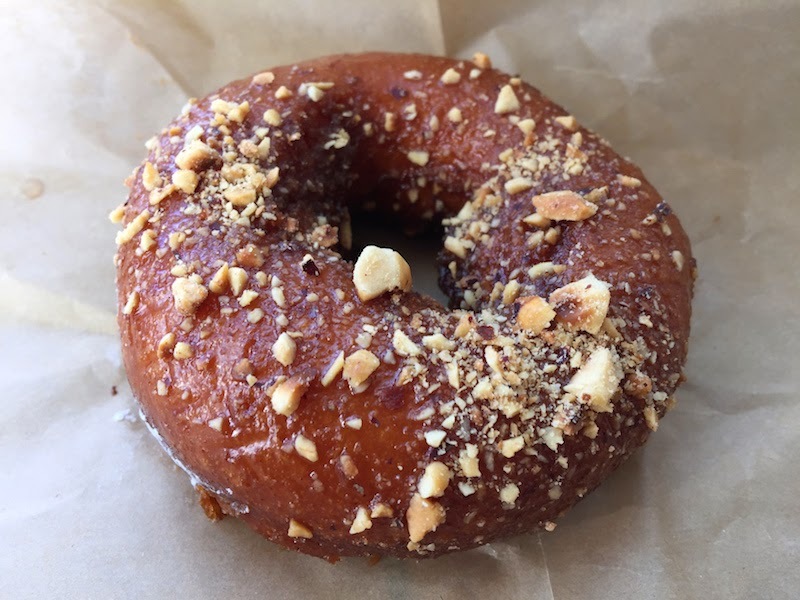 These donuts are gourmet in the same way that gourmet cupcakes are topped with over-the-top flavors, and nearly as pricey. But you only need one or two to satisfy your sweet tooth on a cloudy day in Portland. 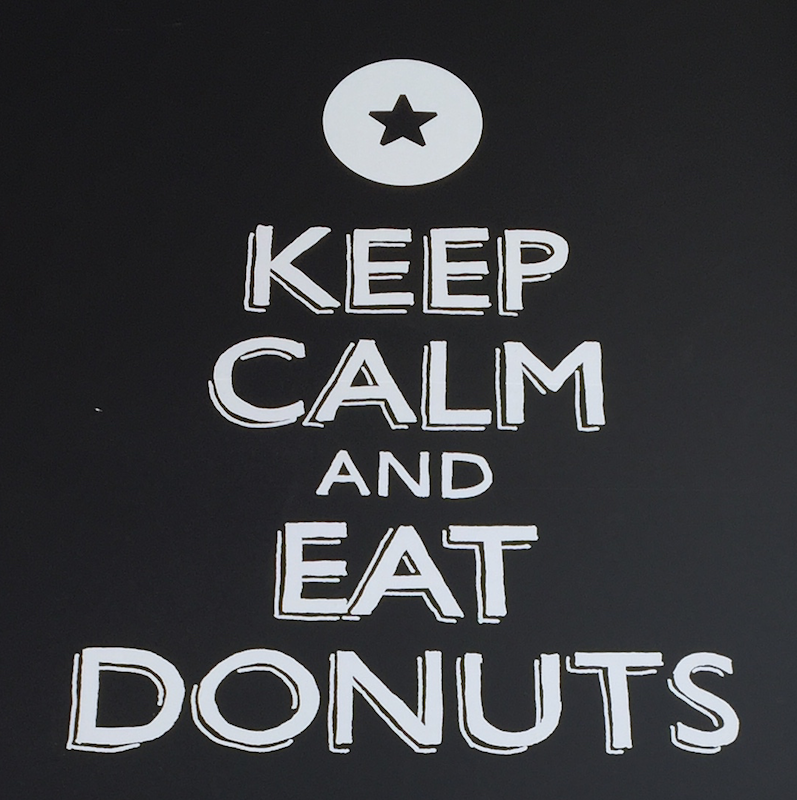 TIP: Blue Star Donuts closes when they run out, so check the hours on their web site and get there early. 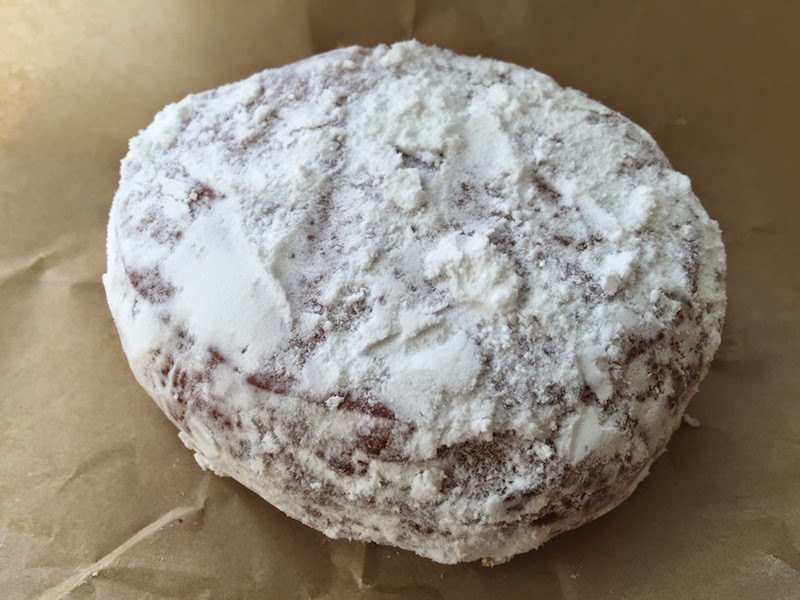 ANOTHER TIP: Each donut is served in a piece of paper. 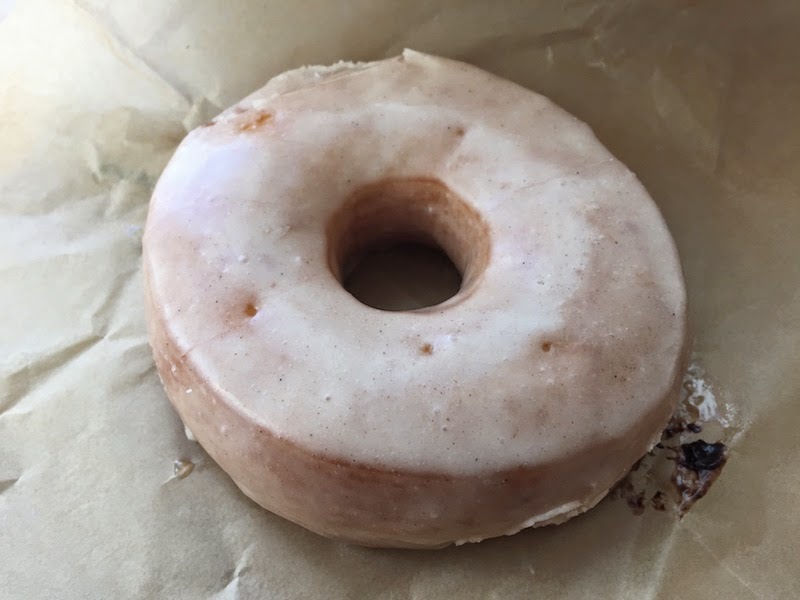 Keep the donut in the paper so that your fingers won't melt the glaze and icing.